The tulips in my garden are difficult to photograph because there is a bit of poison ivy growing nearby to which I am terribly allergic. 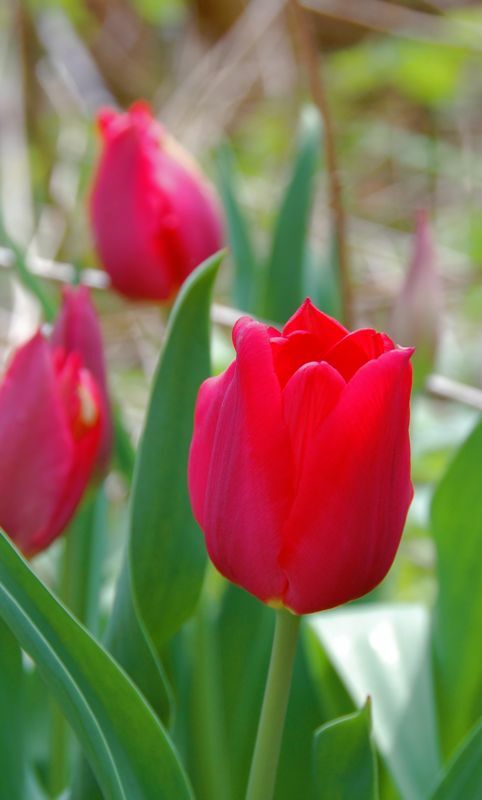 But these red tulips, as well as some double flowered yellow ones, were too pretty and too fleeting in their blossom time for me not to attempt to capture their elegance. pretty picture, but get rid of the poison ivy! this is the time of year when i stop touching the dogs because they might give it to me.